Future Chef Shirts & Sweatshirts & Aprons! Calling all future chefs! This one's for you! Do you love to lick the spoon? Does your mom trip over you and strain her voice yelling at you to "PUT DOWN THE KNIFE!"? 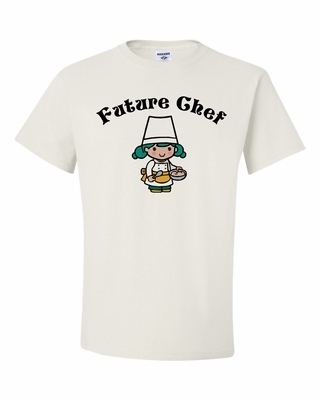 Order a future chef t-shirt, apron or hoodie! Remember� you found the Future Chef Shirts at TShirtHub.com, where high quality came at a low price.